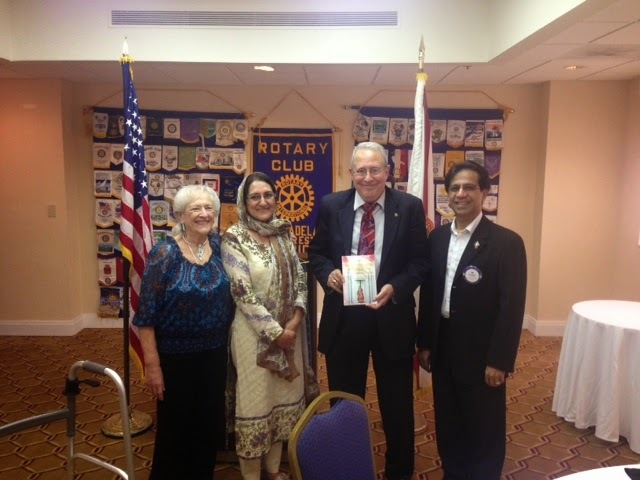 Author Nighat Naseer spoke of her book, "Golden Bangles Hidden Tears" before the Rotary Club of Miami Dadeland-Pinecrest this morning. The book describes her life growing up as an oppressed woman in Pakistan. — with Joe Stephen.